Soultronic explores a wonderful fusion between Soul, Future, Hip Hop, and Mid-Tempo. Toeing the line between live instrumentation and performance alongside synthetic elements, leading to a library that feels creatively raw, as though each element has been created as a result of a jam session. Where Soultronic really stands out, is when delving into the rich tapestry of musical loops and one shots. The integration between loops and samples across the various elements has been fully considered in Soultronic, with complimenting chord and bass loops being titled accordingly to allow a quick workflow when navigating through the library. For those who are after a quick sample to get their track moving, the songstarter section allows you to work with a fully layered musical loop. You will come across samples such as fluttering modulating synths paired with fuzzy bass guitar and emotive rhodes chords, or swelling synth stabs with funky bass guitar licks, there are numerous ways to find inspiration within the pack. Additionally for good measure, MIDI files are provided to add your own favorite timbres to your productions. To accompany the musical selections there is a plethora of drum loops and hits to choose from. Where you can find a range of a variety of grooves that provide the feel of a human drummer, whilst maintaining the presence and punch of processed drums. All loops are accompanied by respective stem bounces, such as just kick / snare, or only the tops, allowing quick interchangeability between various rhythms to suit your taste. And for those of really want to dive into the finer details, there are 120 individual drum hits that are ready to arranged into your own unique beat. 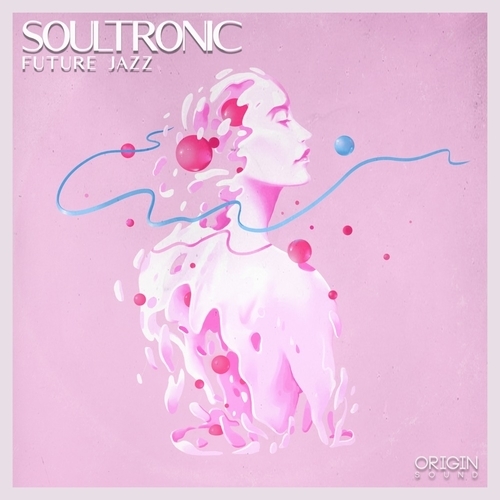 Soultronic – Future Jazz is one of our most versatile packs to date, with samples that could be effectively applied to a vast array of genres. The high production quality throughout the library makes it an essential for any producer looking to expand their sonic palette.